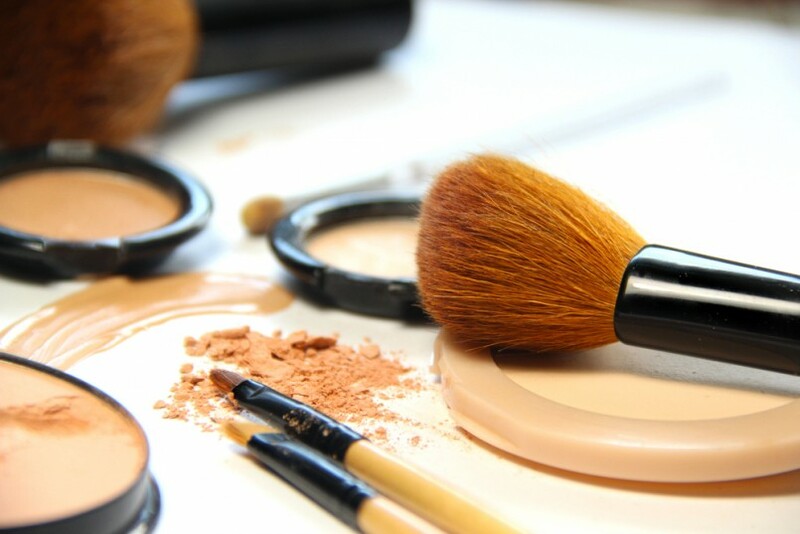 While promising that you’ll look beautiful, most makeup products consist of harmful chemicals that will destroy your skin, nails and even internal organs over time through the introduction of toxins and allergens. In contrast, vegan makeup adds color and protection by introducing natural minerals with numerous benefits for the skin. With ingredients extracted from trees, plants and minerals, using vegan makeup will save your skin and is the safest way to look beautiful. Zinc oxide and sunflower oil are to ingredients found in most foundations. Zinc oxide is a mineral found in zincite that together with titanium dioxide, provides natural protection from the sun by absorbing its ultraviolet rays. You’ll find it as the active ingredient in everything from natural sunscreens to foundations. Sunflower seed oil is a common base ingredient found in most makeup products. It’s high in Vitamin E and also non-comedogenic, which means it won’t clog your pores. It also contains Omega fatty acids. Argan oil, derived from the argan trees in Morocco, boasts an abundance of Vitamins A and E. Vitamin A improves skin elasticity and prevents wrinkles, while Vitamin E heals scars and contains powerful antioxidants that reduce damage causing free radicals. Argan oil is found in skin, hair and lip products for moisturization. Buying popular makeup brands is easy and convenient, but often comes with very serious consequences for your skin. Using makeup with harmful ingredients may begin with light skin breakouts, which will require even more makeup to cover the blemishes. Eventually, these breakouts can lead to hives, severe acne and more serious conditions. Some of the most common harmful ingredients to look out for in makeup products are parabens, talc and silicones. Parabens are used to preserve beauty products and have been linked to reproductive and endocrine system problems as well as cancer. Talc, a common ingredient in eye shadow, is linked to ovarian and respiratory problems. Silicone, used to make products feel silky smooth, is a common skin irritant linked to tumor growth. Vegan makeup is becoming easier to find in chain stores. Whole Foods and other health food grocers typically sell vegan, organic and all-natural cosmetics. Many natural skincare and makeup brands also sell their products online and offer free shipping. Two of our favorite brands to check out are Mineral Fusion and Pacifica. Mineral Fusion is a mineral-based makeup and skincare brand with 100% vegetarian products, a large portion of which are also 100% vegan. The brand offers a range of makeup products with sun protection including foundation, blush and lipsticks. Mineral Fusion also has a line of eco-friendly brushes and brush cleaners. Pacifica offers 100% vegan makeup and skincare products infused with plant-derived scents. You can find everything from concealers to eye shadow, skin brighteners and anti-aging skincare. The brand also has a line of perfumes and fragrances that are well-suited to even the most sensitive skin. Despite what popular brands may tell you, products containing ingredients known to cause cancer, skin irritation and organ disruption are not safe or low-risk. Using vegan makeup is among the best things you can do for your skin and is akin to an added layer of protection. With natural components to reduce the impact of the sun’s harmful rays and additional moisturization, you’ll feel good about spending an extra few minutes to enhance your beauty everyday. Trust us, vegan makeup will save your skin. Alex is an English teacher, writer and traveler based in Southern California. Keep up with her adventures at alexandriawilliams.com.